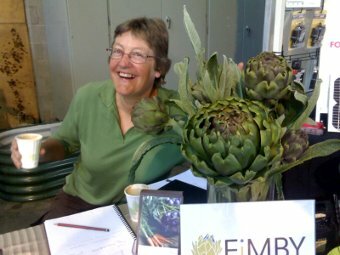 Juliet poses with our spunky artichokes at our stall at the Sustainable Living Expo held on 7th and 8th November. We had a great time there, connecting, chatting, explaining, inspiring and being inspired. Christina bought a new dress made of old ties too!